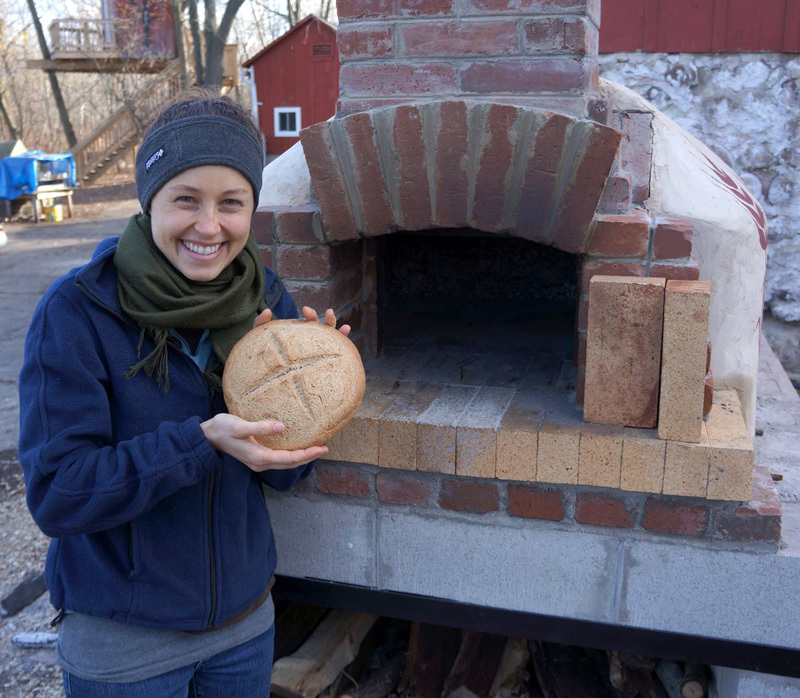 The EcoJustice Center in Racine, Wisconsin, broke in their new brick oven over the weekend, and posted some photos on Facebook to share the news. Above: Sister Christin Tomy, OP (Sinsinawa), who helped to build the oven, with a loaf of bread. 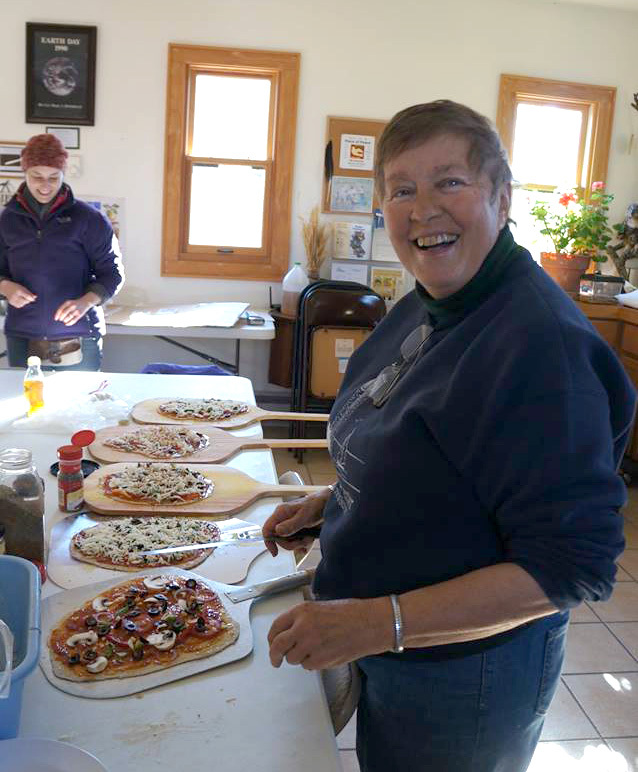 Sister Janet Reyker, OP, presides over the pizza in the kitchen.